Today's dinner was delicious and so happy that is was sooooo easy and full of flavor...As usual, prepping all the ingredients before turning on the stove helps make the cooking process easier. 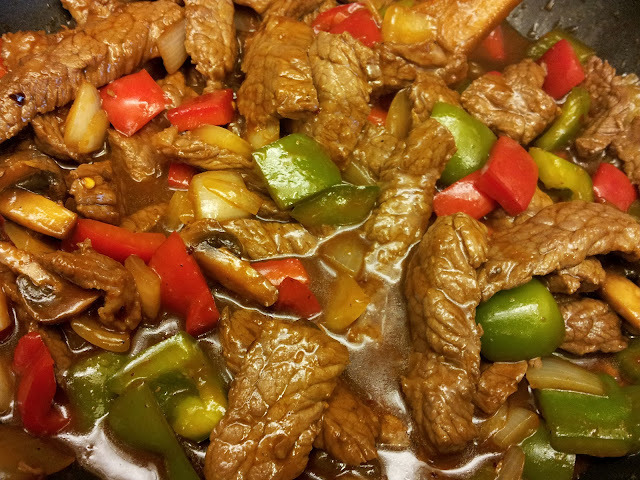 I served the Chinese Pepper Steak with jasmine white rice and another recipe from a great blogger SpicieFoodie.com created by Nancy. It's a great recipe for Stir-Fried Asparagus in Oyster Sauce...and I would give her four stars for this one! Also today's recipe was inspire by another recipe (as always from my fave) food website Allrecipes.com: Kikoman Chinese Pepper Steak. And yes I used Kikoman's brand for the hoisin sauce. This dish is totally mouthwatering. I love the beef and asparagus! Very fabulous and delicious dish! 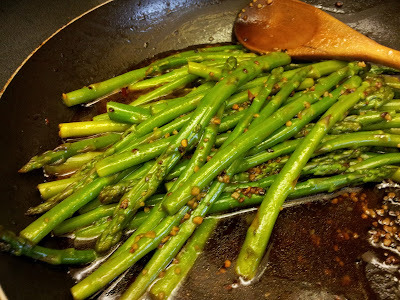 I really love eating Beef Stir Fry and asparagus, especially when the ingredients is very easy to find in the market. I will try to cook this later. Thanks for sharing!